Strangely enough, the first time I came across these Italian gems was during a Grand Canyon vacation I took with my husband in August, 2000. Walking down the busy streets of Phoenix, we passed by a shop displaying an assortment of Tuscan urns imported directly from Italy. I saw them again in a shop on Yorkville Avenue, Toronto. Their beauty was breathtaking but unfortunately they were outrageously priced. I searched all over the city but all I could find were cheap replicas made in China. If you’re like me, you will only settle for the Real McCoy! Many of the clay urns found in Tuscany today are reproductions of ancient Etruscan artisanship. The Etruscans, an advanced society inhabiting the Tuscan plain long before the Romans, created unique and ornate pottery resembling classical Greek design. 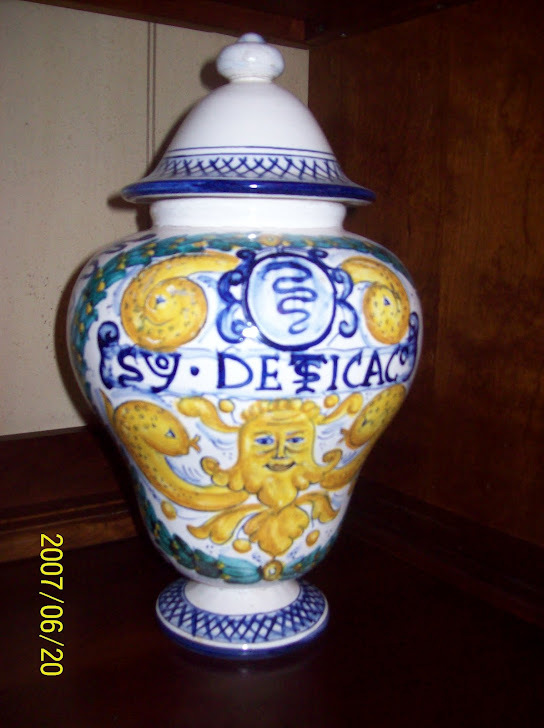 Throughout the region there is a resurgence of traditional ceramic urns featuring the archaic majolica design. 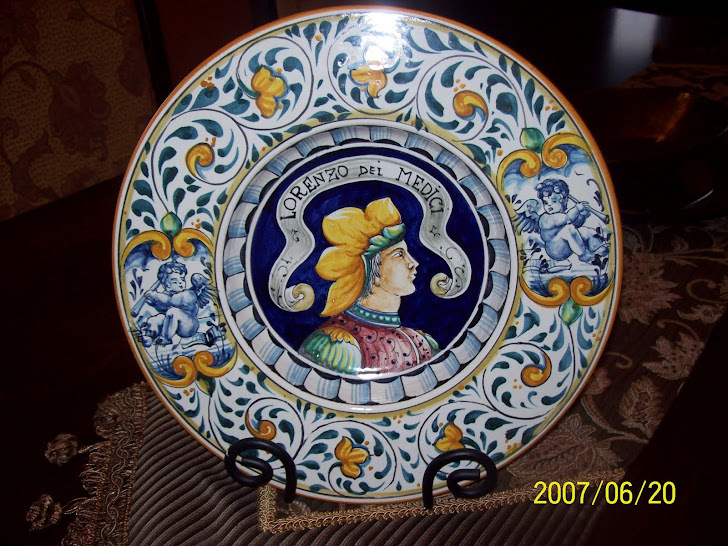 This archetype was introduced by Majorcan Spanish merchants who travelled to Italy during the Middle Ages. On a road trip through Tuscany several years ago, I stopped at an enchanting medieval town called San Gimignano, just outside of Florence. As I circled the charming little cobblestone streets, I found myself swimming in a sea of majolica pottery! The prices were reasonable so I splurged and bought myself three pieces. It may seem morbid to display cremation urns in your home but their sheer beauty will assist you in dismissing their original function. They sit in my kitchen, bringing me back to Tuscany every time I gaze at them. Shopping for pots is one of my favourite things!